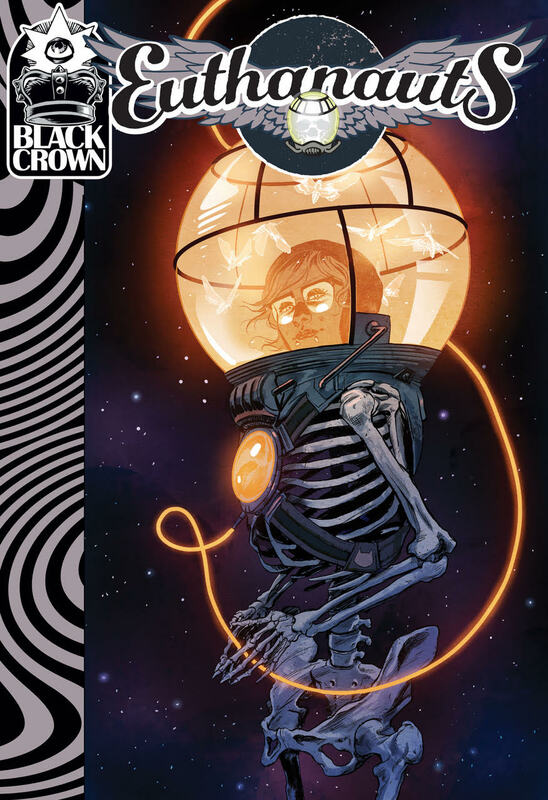 Howard, who already writes Black Crown’s excellent Assassinistas, adds a second title with Euthanauts. The new series combines “classically intrepid explorers with our anxieties about death and the beyond — with psychonautic mindspaces to match.” The first arc will kick off in July. 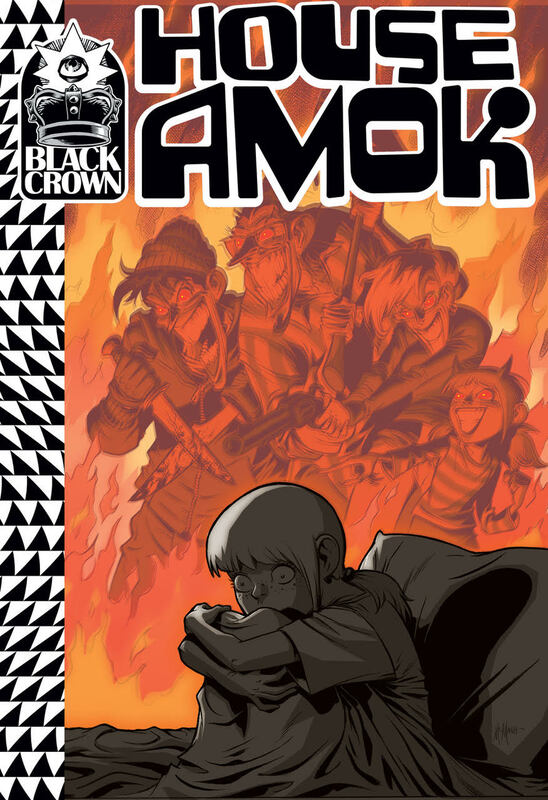 House Amok, meanwhile, is a new five-issue miniseries from Sebela (High Crime, Heartthrob) and Shawn McManus (Sandman, Dr. Fate) about a “damaged” nuclear family with twin sisters on a claustrophobic, high-speed American road trip from Portland to the East Coast.